CWs - Where is the first draft of that copy you wrote back in October? ADGDs - What layer is the trademark symbol on? 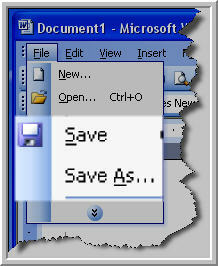 Get into the habit now of properly saving, filing and organising your documents. For one, it keeps you more efficient in the long run and two, if you have an idea or line you really like that doesn't grow into anything, save it, it may work in another campaign or on another client. My tip is to do everything as if you'll have to hand it off to someone else for them to finish. Save every draft or keep them at the end of the document so you can scroll down and see where you started. Save documents (word, psd, pdf, etc) with version numbers and dates. Properly label all of your layers and pages in the adobe creative suite. Back up all of your files. Always. The Four Horsemen of the Apocalypse will come the morning of your big presentation and will take all your files, corrupt your documents and freeze your inDesign, so be sure to have them in a cloud somewhere and on a hard drive somewhere else. Back2Work: Do You Want Fries With That? Back2Work: Watch out for that bus!